The metallic effect adds a new dimension to the modern gloss sheen of Gloss Metallic Blue or Champagne. Open plan living, wide horizons, enjoys this for years to come. 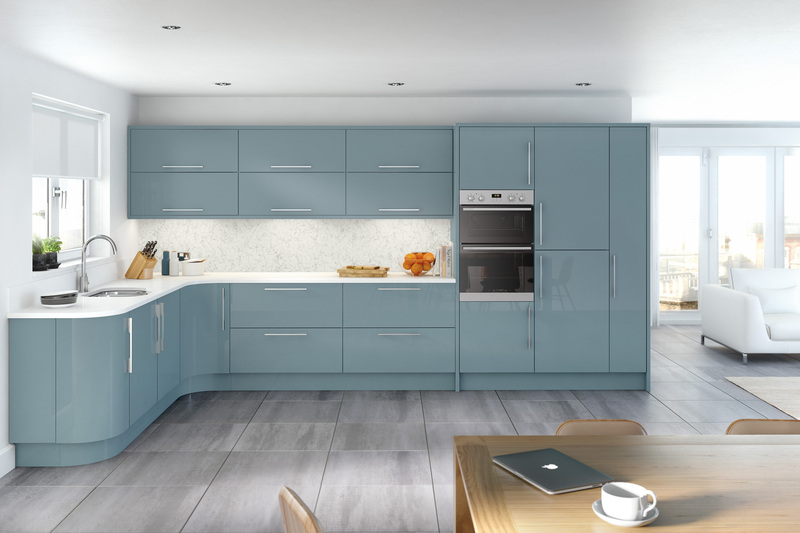 The style kitchen is available in a wide range of colours and made to measure sizes.